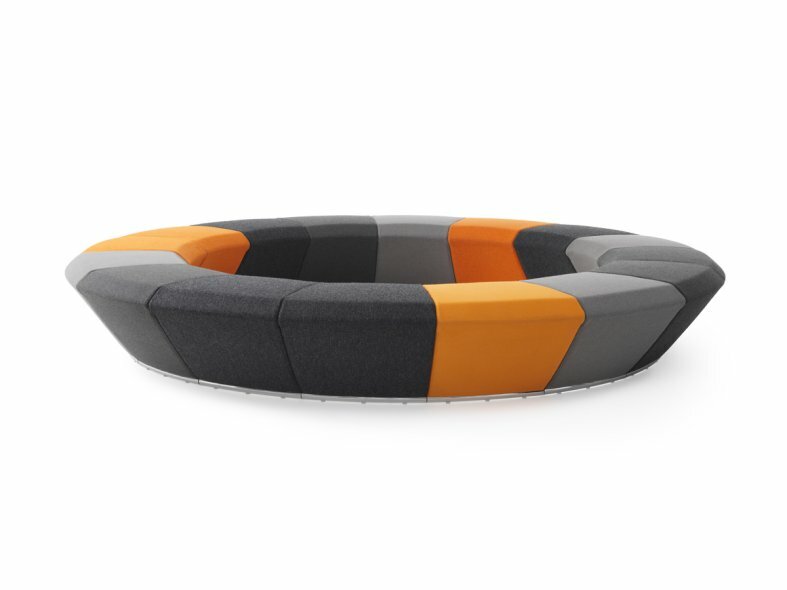 Sectional sofa. 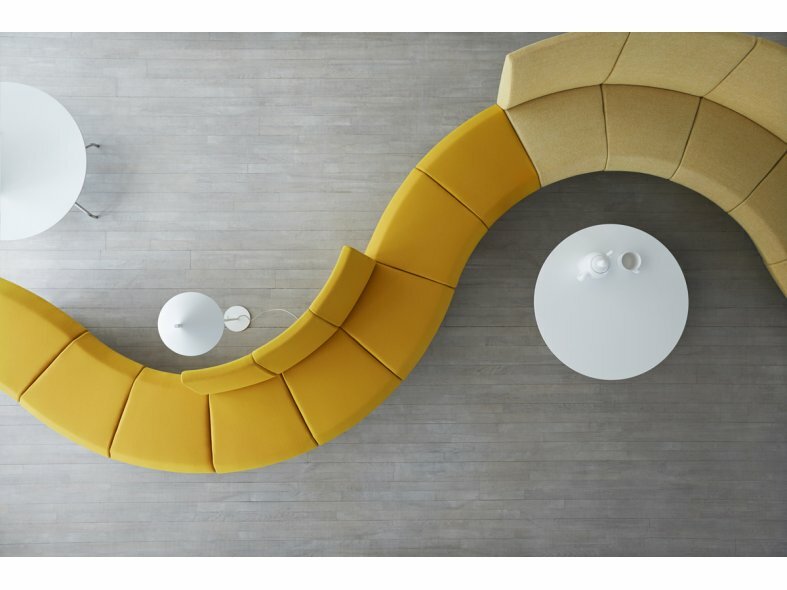 Three different models of sections (low without back, curved with a wide backrest and curved with a narrow backrest) combined according to your own preference. 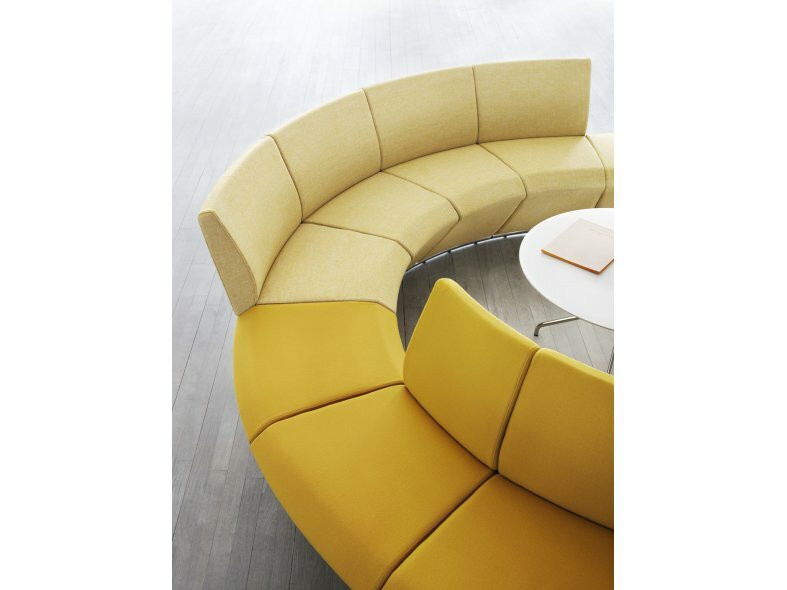 "I wanted to create a sofa that can adapt in size and shape to different spaces according to the setting and the need. 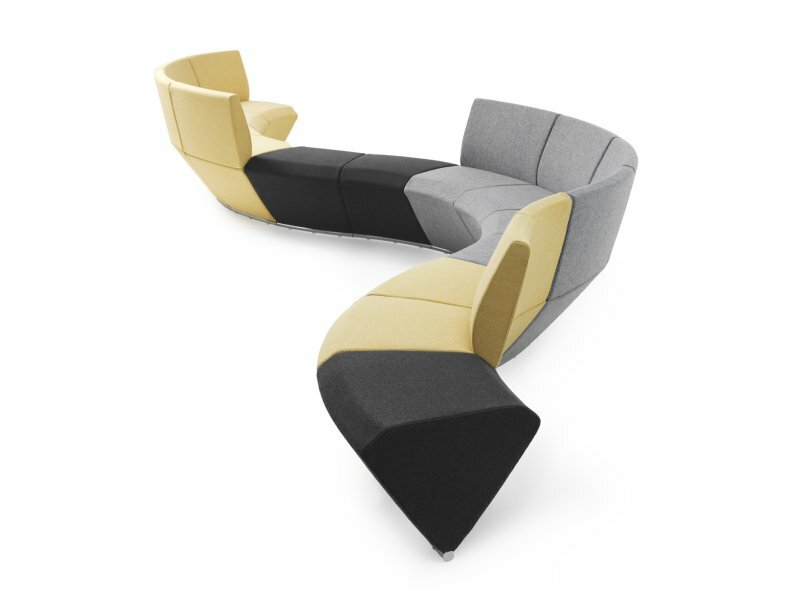 A base without legs, a design that is equally attractive viewed from the front or the back, and modular sections that can be linked together. The result is Spino, which means 'backbone' in Esperanto. 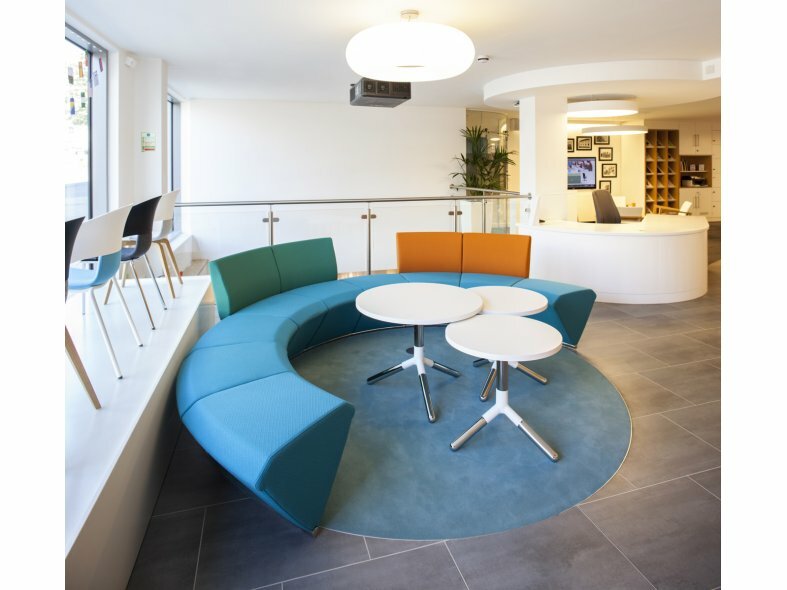 The individual modules come in a choice of colours and can be combined to create round sofas or shapes and seating solutions that fire the imagination. Spino sets your creativity free."